PMBC Group’s client, simplehuman, was featured in Next Luxury. If there was ever an ultimate trash can for the bachelor pad, gentlemen this would be it. A nano-silver clear coated stainless steel finish and hands-free voice-activated lid make this can a worthy asset to any kitchen. Just say “open can” and it does so automatically. Of course, you can also wave your hand at the front or top to pop open the lid. 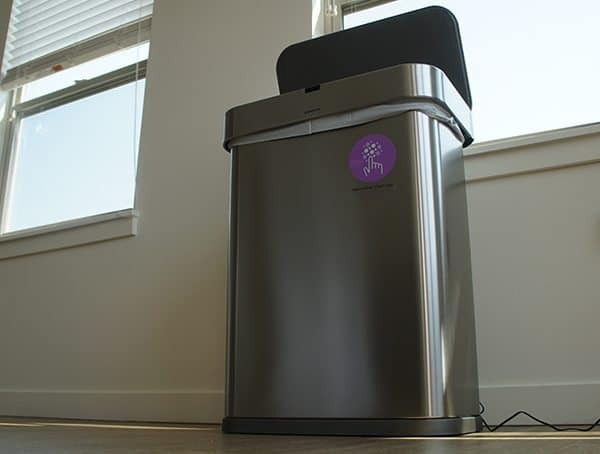 Yet, unlike most modern trashcans I’ve seen with sensors, this one from Simple Human actually works. It doesn’t just work most of the time, it works every single time. Again and again. While a hands-free system and stunning exterior design are two big winners in my book, there’s actually far more to this can than meets the eye. Below, you’ll find my fully-detailed Simple Human 58 Liter Rectangular Voice Motion Sensor Trash Can review in greater detail.